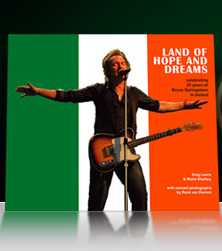 "Humorous, moving and informative, the authors have created something which is both a tribute to their musical hero and a love-song to Ireland... This is a fantastic souvenir of a quarter of a century of incredible concerts and some of the best live performances in rock and roll. Books on Springsteen are ten a penny, but this one's got soul - it's much more personal than anything I've read about him. It's truly from the fans' perspective, which makes it fresh and new. It's about the fans connecting with their idol; and how one man's music can change lives. 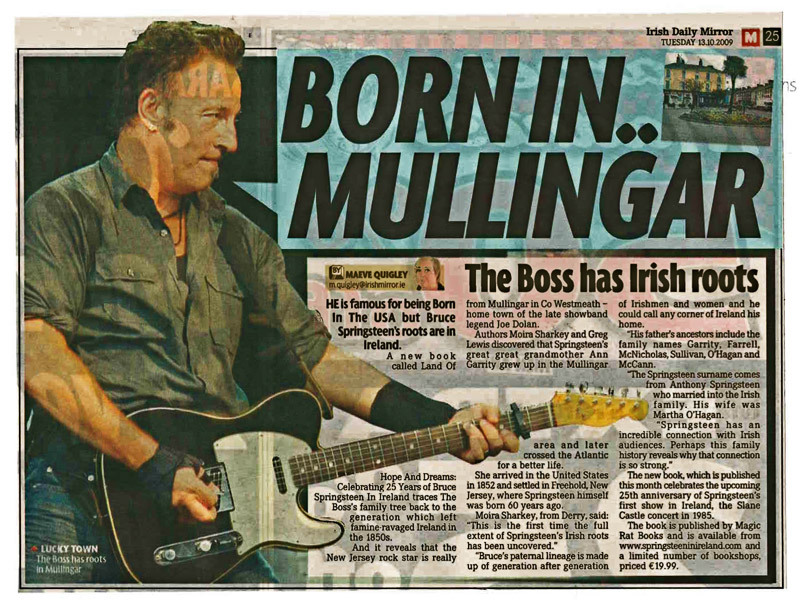 This is much more than a 208-page nostalgia trip for Irish music loversâ€¦this is a story that will touch anyone who's ever admired the E-Street kid." 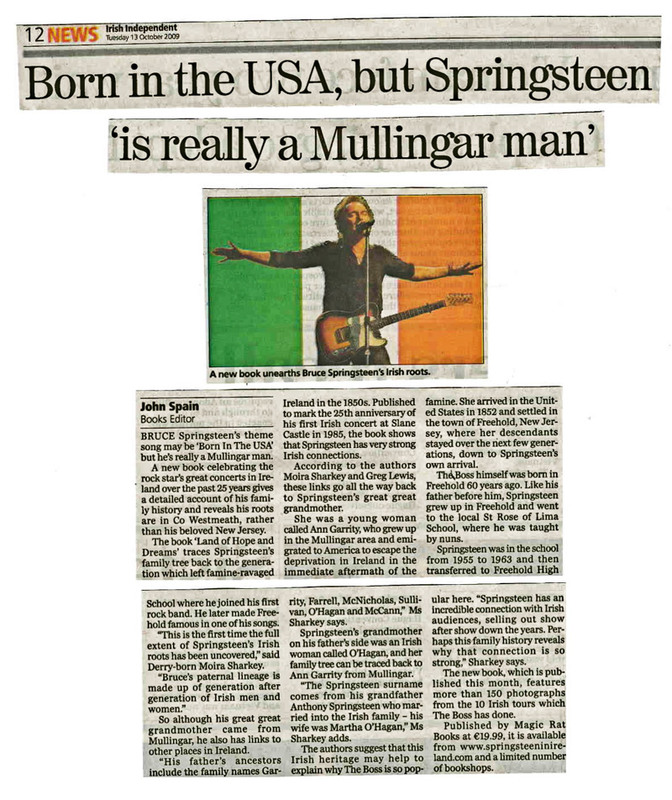 "This is a sumptuous, beautifully designed and lavishly illustrated production, summoning up vivid memories of gigs which have lighted the way through our imaginative lives for a quarter of a century and more, offering a distinctively Irish perspective on Springsteen and on Ireland as seen through the prism of his music. It's the best fanzine ever." "It looks fabulous. Great, great photos and a glorious look and feel to the whole thing. 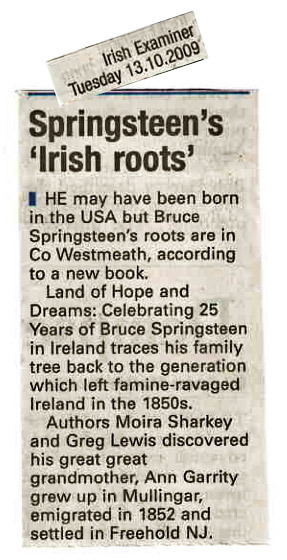 There are a lot of quality Springsteen books to choose from, but this is different, and possibly unique in its approach. 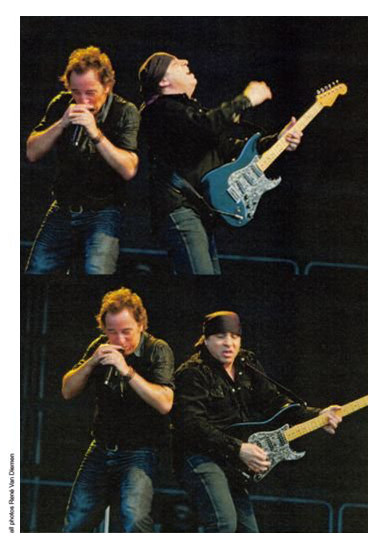 The pictures of Bruce and the band with fans really reinforce and complement the personal stories, a constant reminder that this is a fans' book, truly a fresh perspective as it claims. 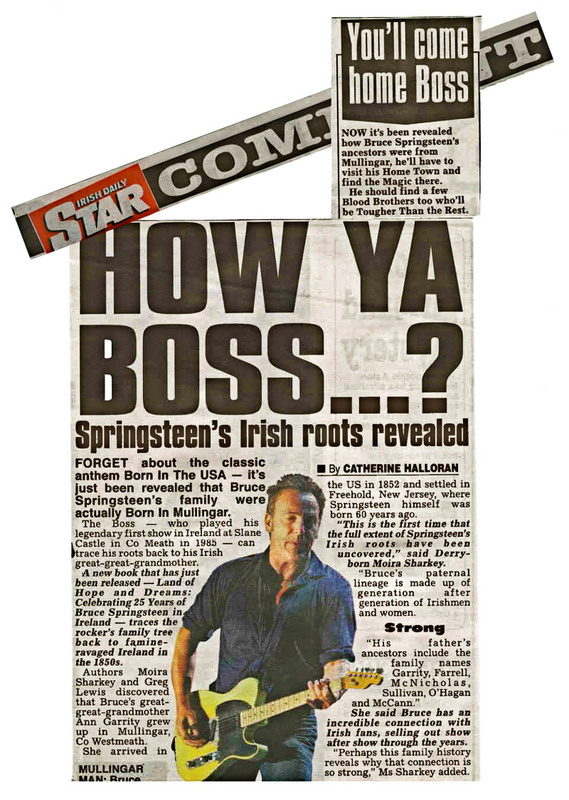 While ostensibly the title might make some think 'this is for his Irish fans', it's actually a global story to which any member of the worldwide E Street nation can relate. If you're a fan - anywhere - this is for you. I can't recommend it highly enough." 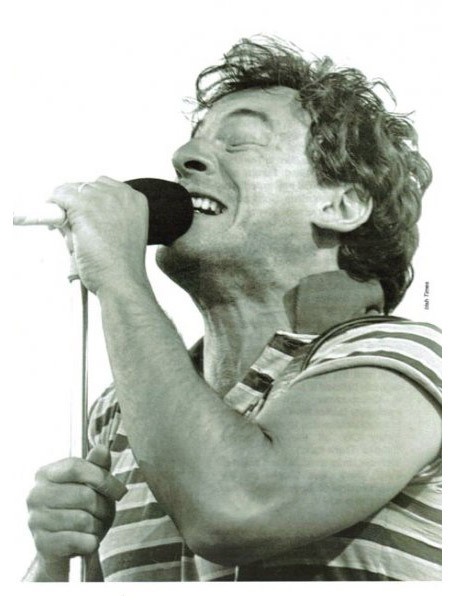 "This book has been anticipated for about a year now among the Springsteen fan community. The authors are committed Bruce followers and their commitment to the subject comes across very clearly. It is part biography, part reviews, part story telling and part photo journal. 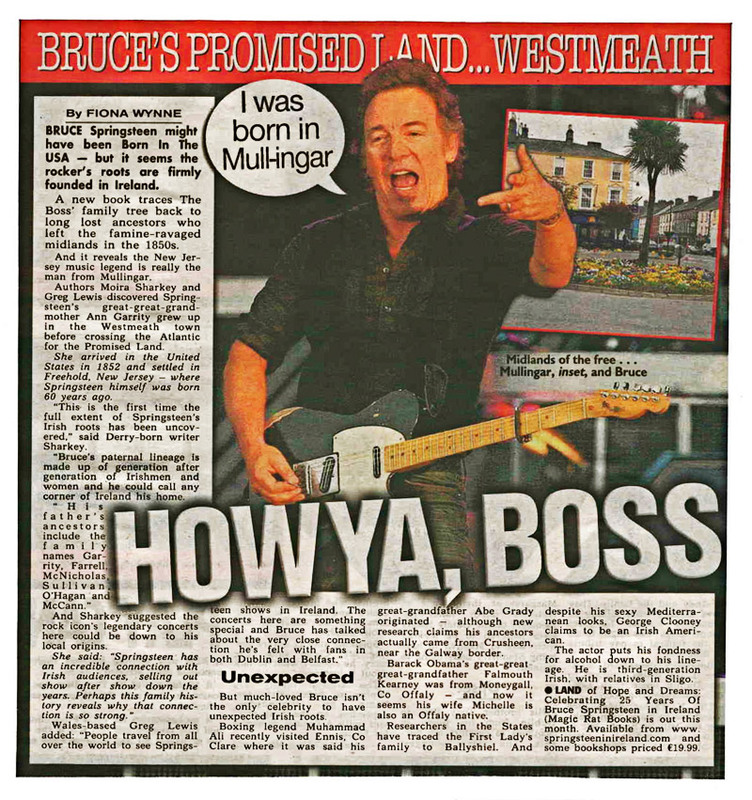 The sum total is a wonderful souvenir of 25 years worth of great days and nights in Ireland, thanks to the greatest live performer in Rock 'n' Roll history. Crafted with care, to be enjoyed wholeheartedly to anyone who has The Boss in his second home." "Very well written, informative, exact, knowledgeable, humorous - and great photos too."